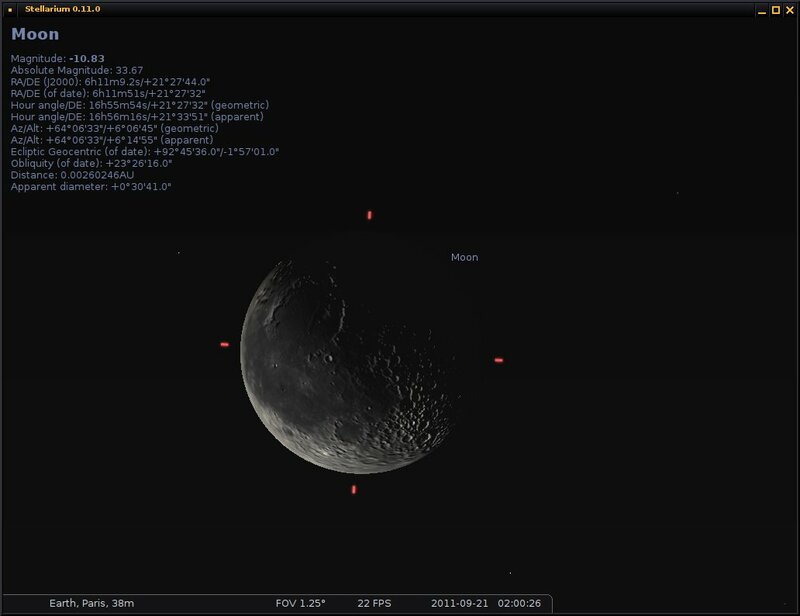 Here are some screenshots of the new planet rendering in the Stellarium software, implemented as part of the European Space Agency Summer of Code in Space. 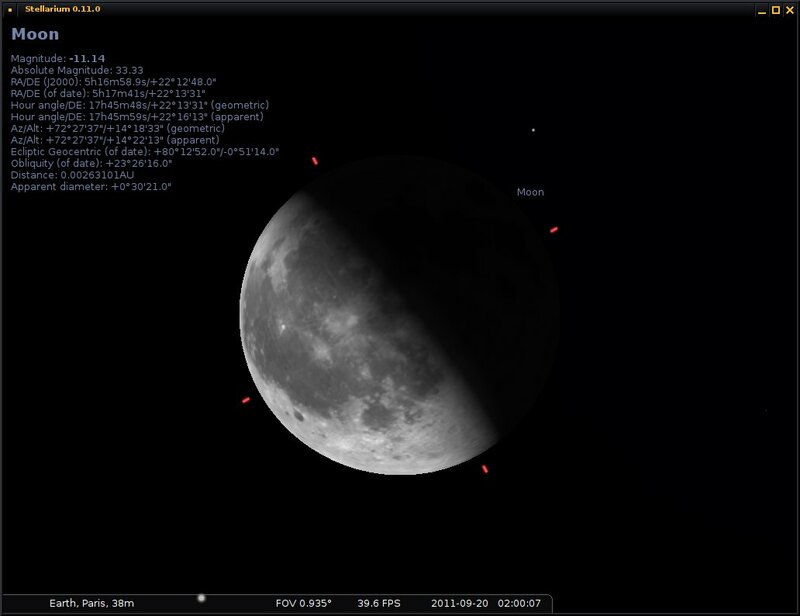 I implemented a bump mapping algorithm (using normal maps) in GLSL shaders and I integrated it into the Stellarium application (C++). 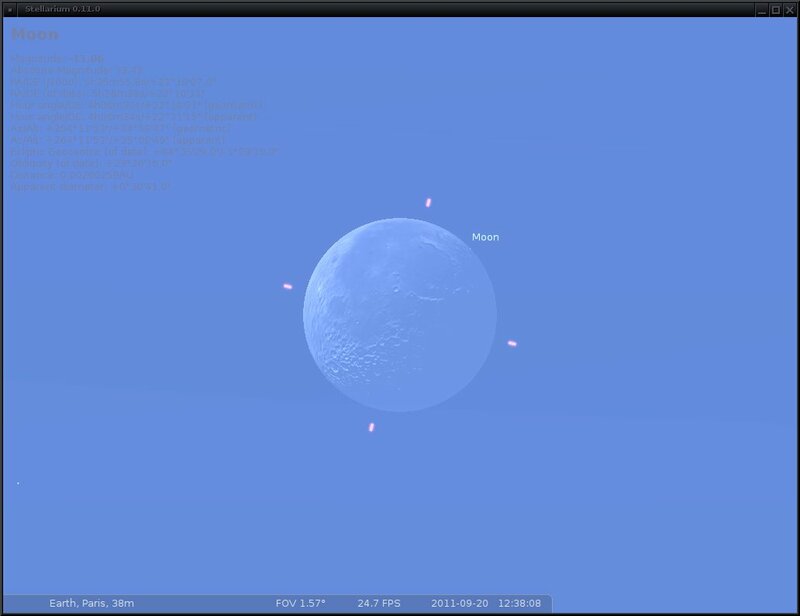 The planets are ellipsoids. There are still many different things to be done for further improving the project, these are just some samples. 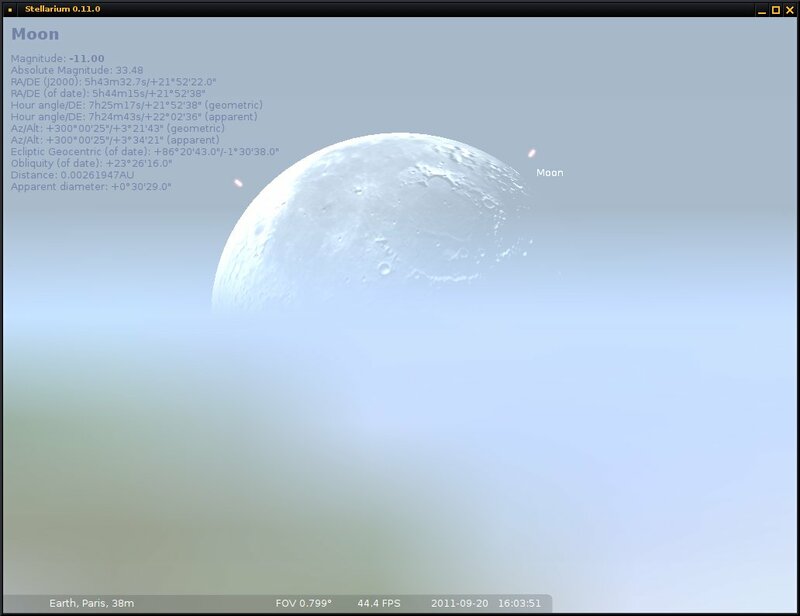 Continue reading Stellarium planet rendering improvements. 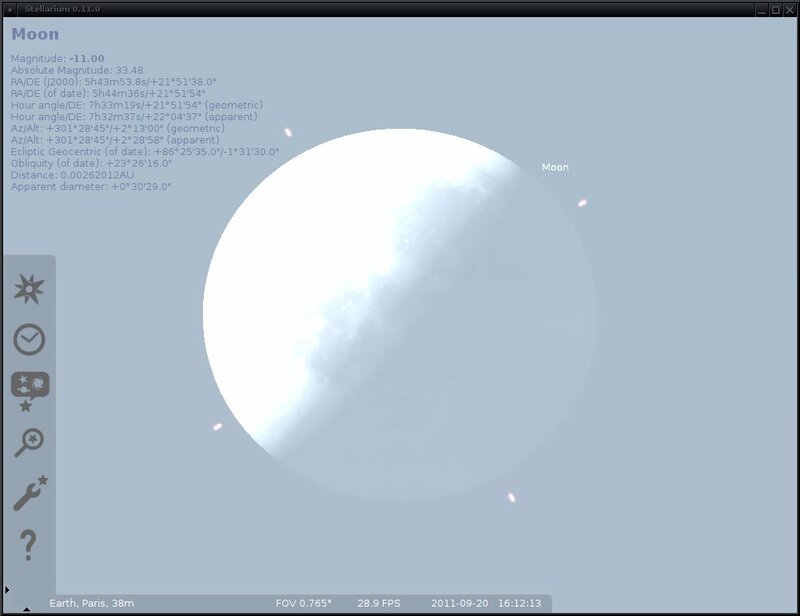 Format GalleryPosted on September 20, 2011 February 7, 2018 Categories Coding, StellariumTags c++, opengl, stellarium, ESA summer of code in space, qt, clouds, perlin noise, normal mapping, planet rendering, SOCIS, graphics algorithms4 Comments on Stellarium planet rendering improvements.